The Stylophone was a small novelty electronic instrument created in the UK by Brian Jarvis’s Dübreq Company (originally a film production and recording studio specialising in dubbing and recording based in Leeds – the umlaut was added to give the impression of Germanic quality) between 1967 and 1975. The Stylophone was designed to be as cheap as possible to produce and manufacture based around a design with a single oscillator controlled by a metal plate 20 note keyboard printed directly on to the PCB board played by a hand-held stylus. The instrument had a ‘unique’ sound; a simple buzzing square wave with no envelope control which could be modulated with vibrato via sine wave LFO. 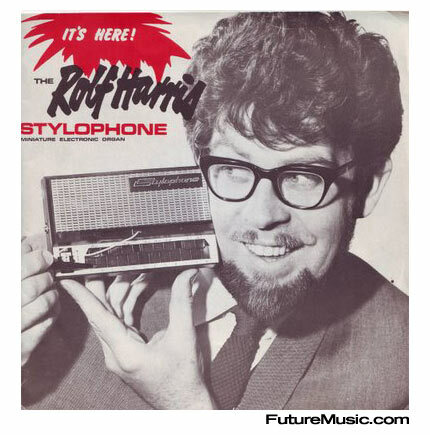 Despite it’s simplicity, and due to a marketing campaign featuring Rolf Harris enthusiastically endorsing the device, the Stylophone caught on; during the six years of it’s manufacture, over three million Stylophones were sold (The original Stylophone was sold mail-order for £8 18″6d each, the equivalent of around £95.00 in today’s money). 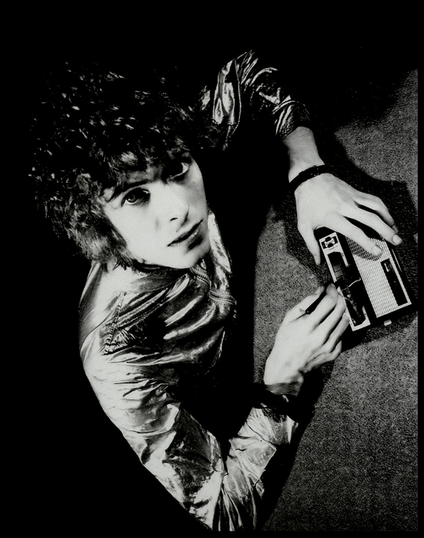 Although intended as a toy, the Stylophone was picked up by a number of musicians of the period – most famously David Bowie on ‘Space Oddity’ (who apparently hated the instrument, loaned to him by Mark Bolan) and Kraftwerk. The instrument has more recently acquired a kitsch retro-nostlagic value and is used by groups such as Pulp, Manic Street Preachers, Belle and Sebastian, Orbital, Hexstatic and many others. 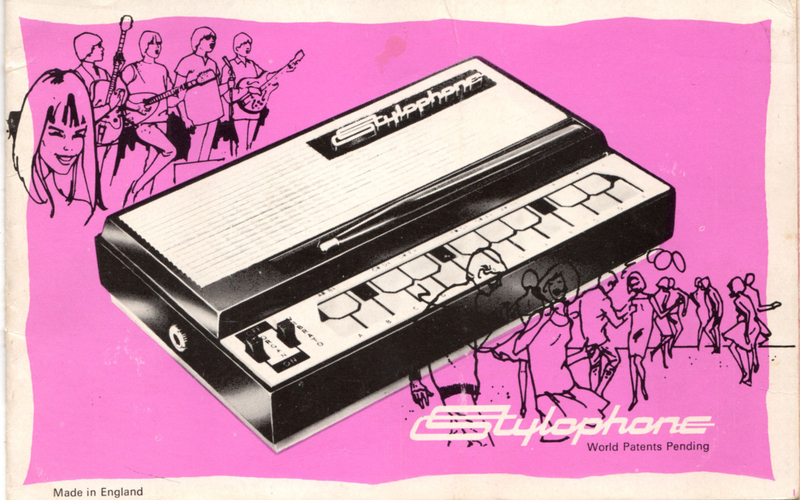 The 350Swas the big brother of the original Stylophone launched in 1971. The 350s had a larger 44 note metal plate keyboard which could be switched up and down one octave and two styluses. The instrument also had eight voices – Woodwind, Brass and Strings – as opposed to the original version’s one voice. The 350s’ sound could be altered with a basic decay control switch and a unique ‘photo control’ – a phot0-optic cell that the user covers with the left hand to modulate the amount of vibrato, low pass filter cutoff and volume creating a wah-wah like effect. Fewer than 3000 units of the 350s were produced and sold. In 2003 Dübreq was re-launched by Ben Jarvis, son of the original designer leveraging on the retro-kitsch value of the original instrument. 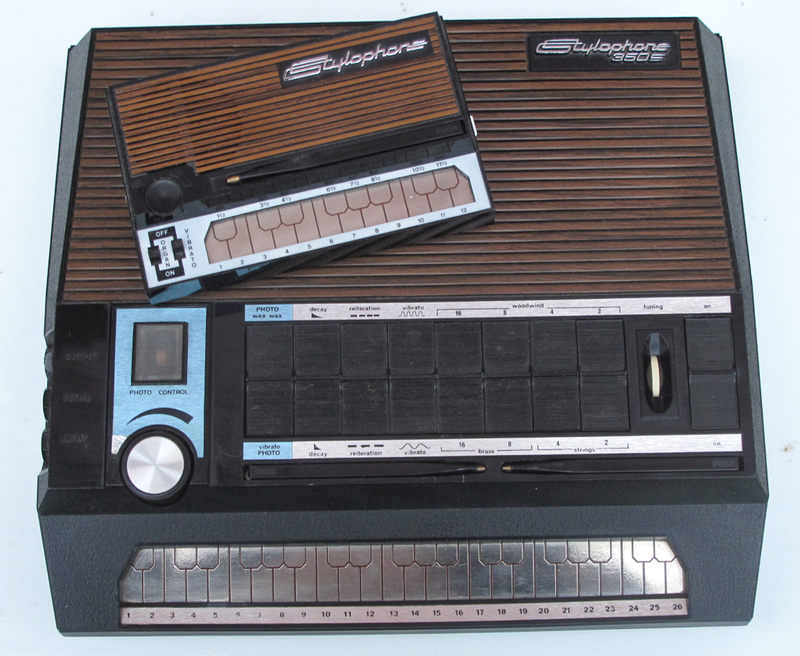 Several updated versions of the Stylophone have been released. inspired by the making of The Stylophone itself?